Former Dinamo Zagreb midfielder Josip “Jozo” Gaspar has been sacked as manager of NK Precko Zagreb after reportedly stealing a player’s credit card and using it to buy not one, not two, but 36 litres of Jagermeister. The Precko board have kept their reasoning for firing Gaspar quiet since canning him over Easter, but allegations appearing in the Croatian media are suggesting that “Jozo” snuck snucked snook sneaked into the dressing room of FC Sparta Elektra (a local team who share their training facilities with Precko) and tea-leafed a wallet from an open bag before driving into town with a bit of a thirst to quench where he then spent roughly £450 on 36 litre-bottles of Jagermeister. 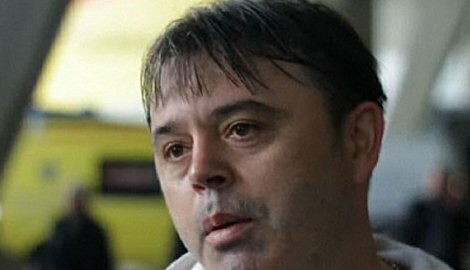 What with him being fairly well known in Croatia after playing several hundred games for Dinamo Zagreb in the early-to-mid 1990s, Gaspar’s face was almost immediately recognised on CCTV and police later arrested him as he attempted to buy yet more alcohol with the stolen card at a second shop later in the day. He was then fired from his job at Precko shortly thereafter. NK Prečko Zagreb is not exactly top of the pops. It’s in Croatia’s 4th division. So that MIGHT explain why Josip needed to emancipate some cash so he could feather his nest. BUT, it does NOT explain why he thought that a PLAYER in said 4th division would have enough loose change to accomplish that objective. Loving the past tense of sneak used in there, big fan of that.